Matt and Amy Craven and the team at The Swan Inn have hosted another hugely successful annual Beer and Cider festival. 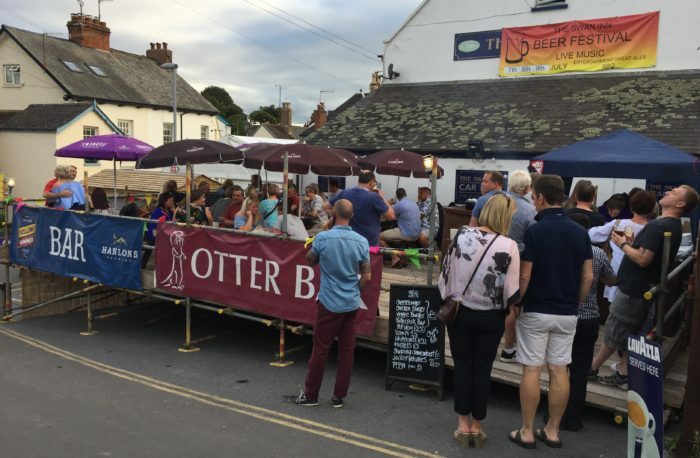 There were 38 Real Ales and 20 flavoured ciders on offer at the event, which was so successful other Heavitree pubs had to loan extra kegs to keep the festival going through to Sunday. Draught Pimm’s and lemonade was served from a new trailer that Matt is hoping to use as a mobile Swan Inn. Look out, it may turn up at a festival near you! Well done and thanks again to Team Swan Inn.